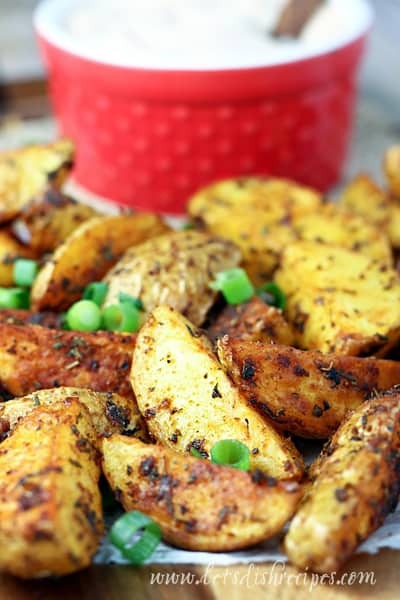 CAJUN ROASTED POTATOES WITH CREOLE DIPPING SAUCE — Potato wedges are coated in a mixture of Cajun spices, then dipped in a creamy Creole-style dipping sauce in this spicy side dish everyone will love! I can never go wrong serving potatoes at my house. And since my family also loves spicy food, these Cajun Roasted Potatoes with Creole Dipping Sauce were a huge hit. Don’t worry, they’re not too spicy, and you can always adjust the heat level to suit your tastes. 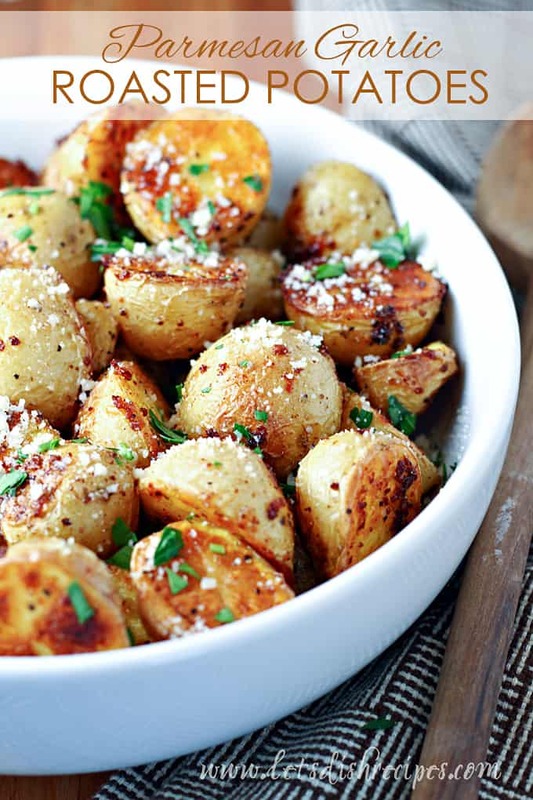 But whatever you do, you’ve got to try these potatoes! 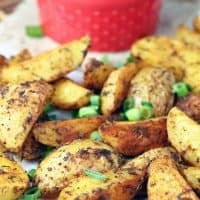 These tasty potato wedges are seasoned with garlic powder, paprika, some cayenne pepper and other seasonings, then baked until crispy. And the best part–you dip them in a creamy Creole sauce! Think spicy, kicked-up fry sauce (and who doesn’t love fry sauce?). And like I said, you can always use a little less cayenne on your potatoes and in your dipping sauce if you’re concerned about the heat level. Made as is, they’ve got a nice level of heat without being over-powering. We eat a lot of potatoes around here, and this is one of our favorite ways to enjoy them. I’ve found that red or yellow potatoes work best, but good old Russets will work great too! 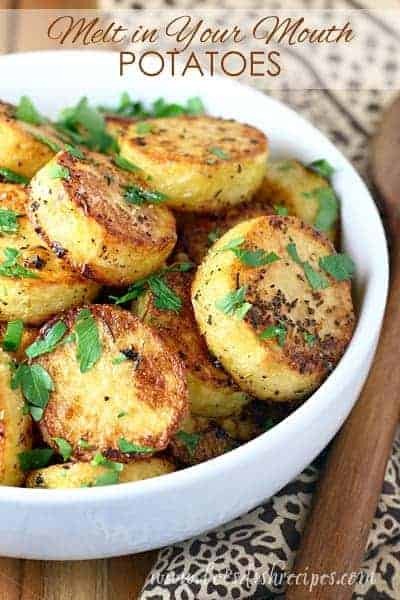 This is a great potato side to serve with burgers or steaks. I like to think of it as a spicy french fry. And a burger just isn’t complete without french fries! For ultimate crispiness, I recommend spreading your potato wedges over two large baking sheets, and rotating them half-way through baking time. And yes, you really should use ALL the seasoning. 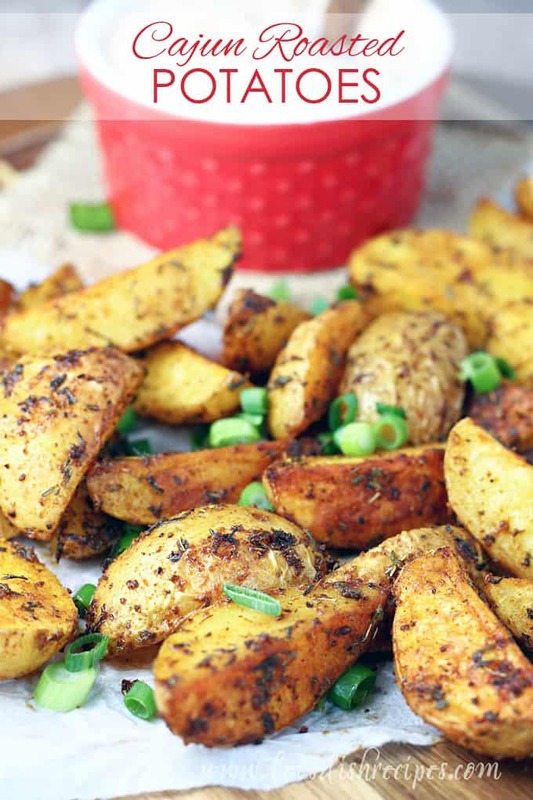 I just know you’re going to love these amazing Cajun potatoes. They’re definitely a new favorite and our house, and I think they will be at your house too. Be sure to save this recipe for Cajun Roasted Potatoes with Creole Dipping Sauce to your favorite Pinterest board for later. Preheat oven to 450 degrees. Lightly grease two large baking sheets. Whisk together oil and spices. 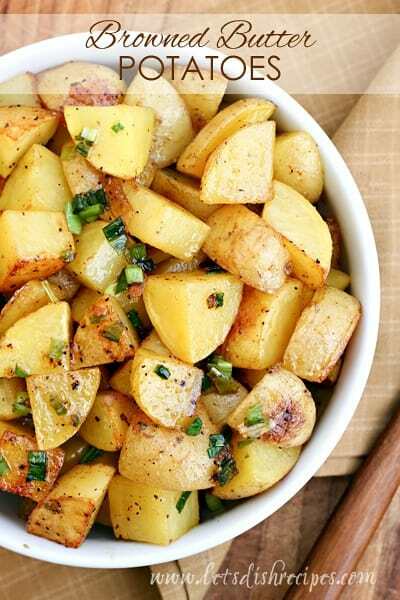 In a large bowl, toss potato wedges in oil and seasoning mixture to coat well. Arrange potatoes on prepared pans in a single layer. Roast potatoes for 30-35 minutes (or until tender), flipping potatoes and rotating pans halfway through baking. Season with additional salt, if needed. While potatoes roast, whisk together ingredients for dipping sauce in a medium bowl. Serve with potatoes.